The 74th annual Golden Globes were handed out last night as Jimmy Fallon led the star-studded night as host. 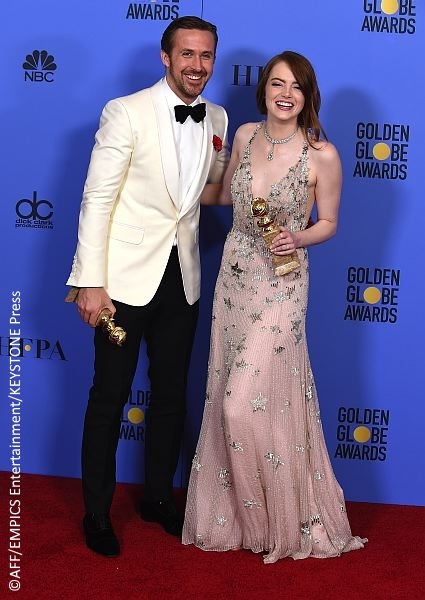 La La Land broke records for the most awards given to one film in a single year, bagging seven statuettes, including Best Picture, Ryan Gosling for Best Actor and Emma Stone for Best Actress in Musical/Comedy category. Moonlight took home the Best Picture in the Drama category while Casey Affleck won Best Actor and Isabelle Huppert won Best Actress. The show started with a bang — or lack thereof — as there was a technical glitch with the teleprompter, forcing the Tonight Show host to improvise, giving him ample opportunity to compare his situation to that of Mariah Carey on New Year’s Eve. Meryl Streep gave a powerful speech as she was honored with the prestigious Cecil B. DeMille Award. While one Ryan (Gosling) was collecting his award, another Ryan (Reynolds) was locking lips with Andrew Garfield and that my friends, was trending instantly on social media. ‘Nuff said.